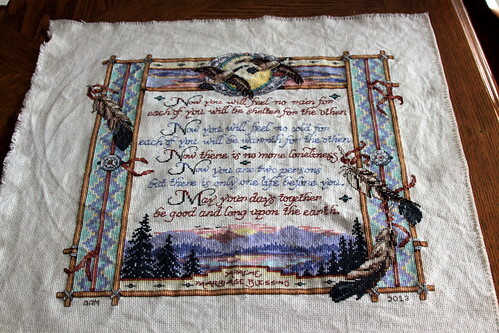 Although I'm editing this in March, February's task is finished - the Apache Wedding Blessing is finally done! I also finished two birthday blocks! Here is Cari's block. She chose purple, black, grey and white, quilter's choice, so I found this pattern called "Woven Ribbons" that I may use in a year or so with different colors. The next block is Ralu's. It is from a McCall's pattern and is called "Best of All". I was initially a little scared of all the pieces as I hate detailed piecing. But, with a scant 1/4" seam, and pressing all my seams open it worked perfectly, and came in at the right size. I find it really striking, too! 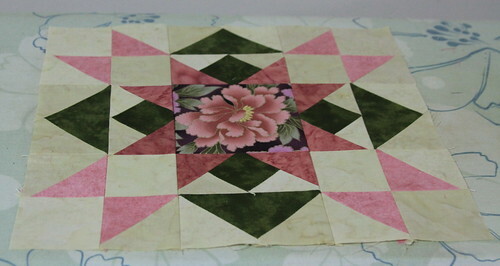 I also have a bonus finish of the binding getting sewn on the pink and brown quilt. That'll be posted soon too, I just need a not freezing day to get it outside to take a picture! 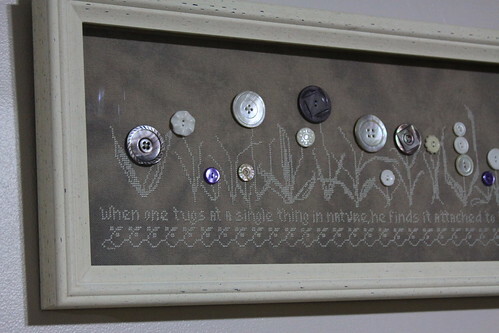 I also managed two needlework finishes for January and I just got one back from the framer. 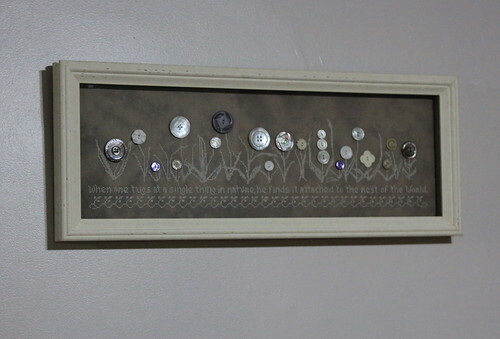 This is Barnwood Buttons by Rosewood Manor. Although there are lots of things I don't like about this piece, I do love the fact that I was able to use up some silk I already had on hand. 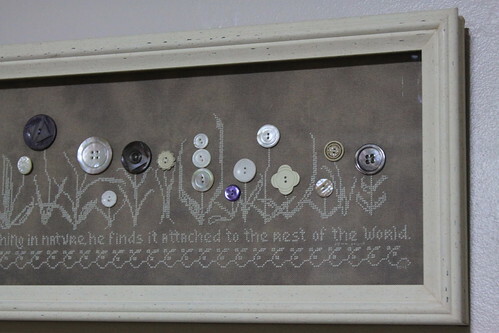 I also love that I was able to incorporate some antique buttons that I've inherited into this piece. You can see some of the detail on the buttons here. And the quote, just resonates. I appreciate it even more having been in Muir Woods. "When one tugs at a single thing in nature, he finds it attached to the rest of the world." - John Muir. I also have a hardanger class finish from the month. 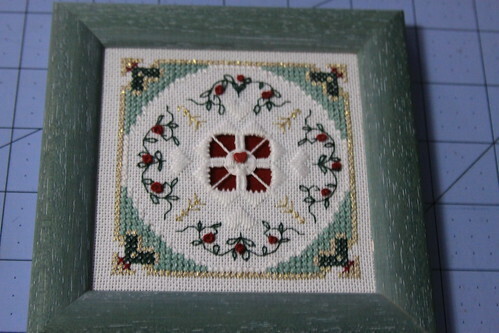 It's the third hardanger class I've done and I'm really enjoying it. This piece is 1/4 that will be done over the year 2013 and framed together.